The ancient city of Perga lies in the Anatolia region of southern Turkey, just northeast of the regional capital Antalya. The city is mentioned in the Bible (New Testament) as being the home of St. Paul at one time. Contributor Turkey Home created an amazing drone video of this ancient Turkish city, which is situated between two important rivers in Anatolia. The bird's eye views will show you why Perga is one of the biggest tourist attractions in Turkey's Mediterranean Region. 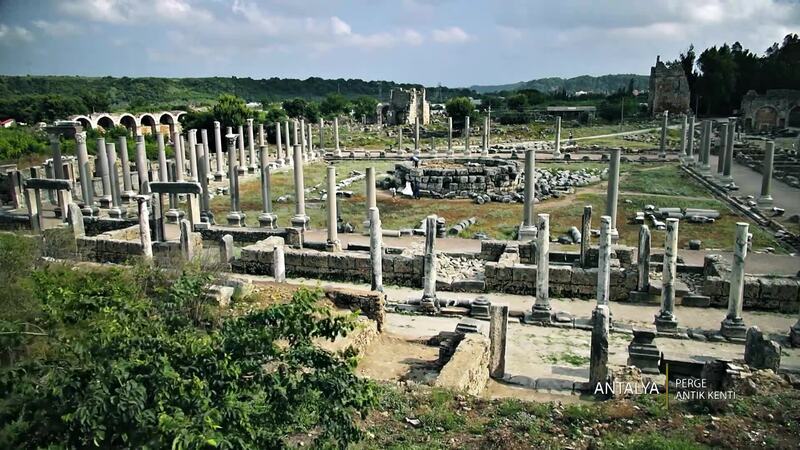 Description: The ancient city of Perga was an important city of the past, and now its remains exist right in Antalya in all their glory! See this city so important it's mentioned in the Bible and was a home to the Apostle Paul for a time from up on high!